A new ultra-filtered whole milk is being launched by fairlife, LLC, which includes DHA Omega-3 fatty acids. 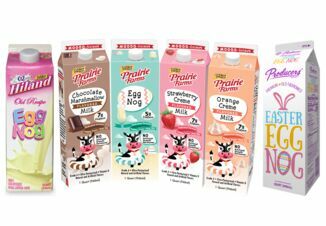 The DHA Whole Milk joins fairlife’s product line that already includes 2% ultra-filtered milk with DHA. The DHA milks are being promoted has supporting brain health and both the products are sold in 52-ounce bottles across the country. DHA products were previously branded as fairlife SuperKids. “As a dairy company rooted in innovation, fairlife is dedicated to consistently launching great tasting products that provide essential nutrients and vitamins. 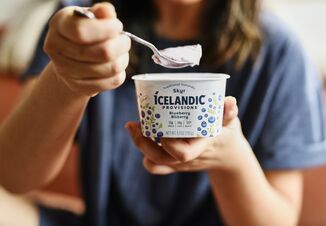 And, as a mother and grandmother of triplets, I understand the health benefits derived from good nutrition and I want nothing more for my family,” says Sue McCloskey, dairy farmer and co-founder of fairlife, LLC. DHA Whole Milk from fairlife delivers 13g of protein and 35% of the daily value of calcium, in addition to the Omega-3 fatty acids. fairlife was founded in 2012 by Select Milk Producers, Inc., a dairy cooperative that includes Fair Oaks Farms in Indiana. 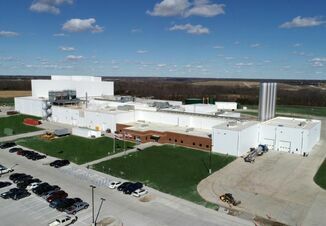 The company’s processing plant is located in Michigan where it turns milk from cows into an ultra-filtered product with 50% more protein and 50% less sugar than traditional milk. A partnership with Coca-Cola has helped maximize the distribution chain nationwide for fairlife. The DHA Whole Milk is currently available across the country and has a suggested retail price of $4.49 for a 52-ounce bottle.